An expanse of picture windows front Bethnal Green Rd and radiate the inner glow of happy punters immersed in their craft. A masculine interior of wood, steel and concrete is a buzz with deep tones of conversation and laughter. This is a modern man’s knitting club, a gathering of enthusiasts all striving to perfect their art. Except it is not knitting needles they have in their hands but beer, craft beer. Mason & Taylor knows its ale from its lager and has a selection of 12 craft beers and real ales on tap and boasts a beer list of over 40 bottles from all over the globe. 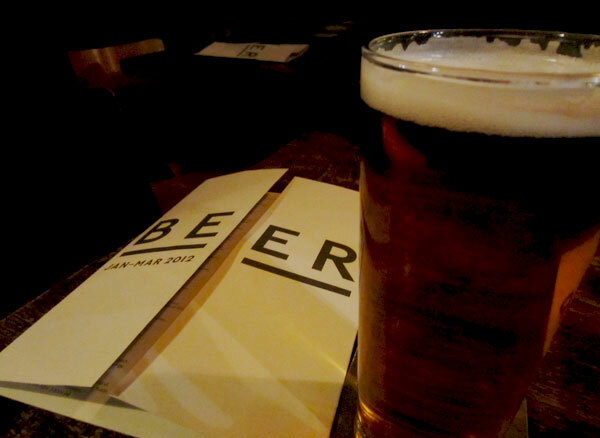 There is a distinct focus on local, independent breweries and they aim to change the menu every couple of months and feature guest ales weekly. I enjoy a pint and I am always keen to try out an ale from a local brewery but for the most part I am more interested in food. So with a pint of Thornbridge Jaipur IPA in hand I inspected the menu. As on trend with their beers the food is presented in the ever popular small sharing plate format. But with a British bent. Unlike their beer the selection isn’t vast but there is enough to raise interest. 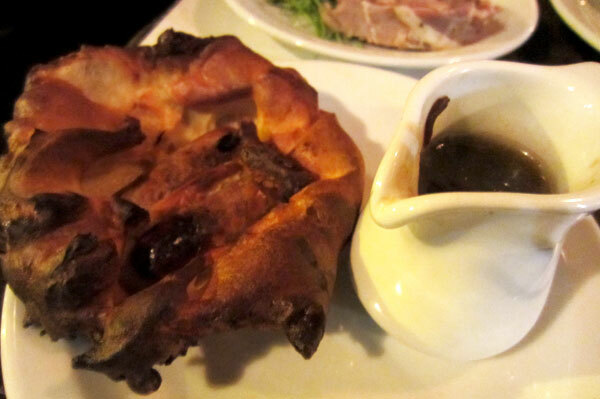 We grazed on Toad-in-the-hole with a red onion gravy, the sausage a little insignificant, the pastry a little over-cooked and dry. 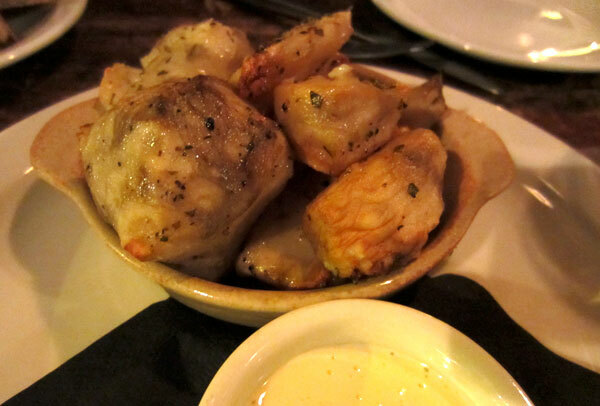 Roast Jerusalem artichokes with aioli were soft, buttery and infused with sage, the dish was complimented with baby potatoes however which actually outnumbered the artichokes. 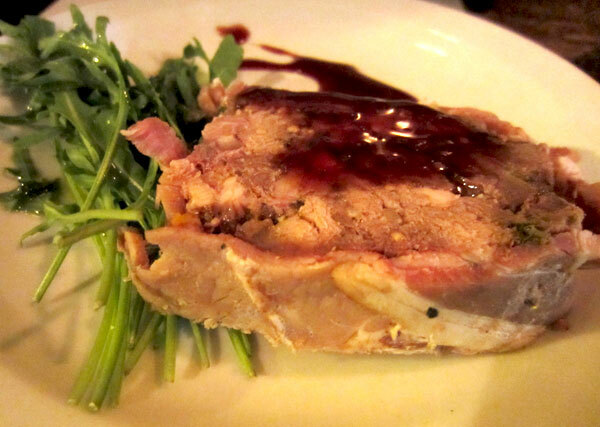 Highland game terrine was tasty with a balsamic and plum reduction and young rocket, although a little on the salty side. Other dishes included stuffed field mushrooms, roast squash with black pudding croutons, and a more substantial fish plate and a beef Wellington. 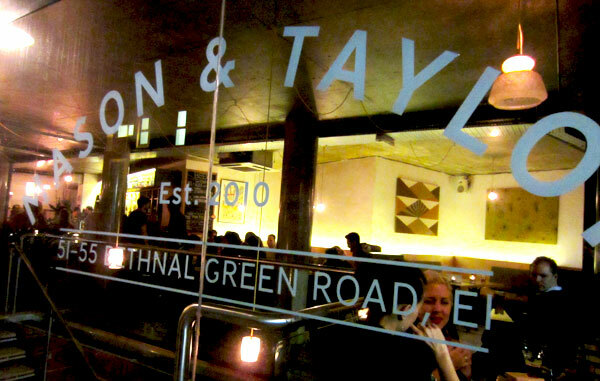 It is fair to say that the food at Mason & Taylor is not the main act. It is good enough and the British style tapas work well in this setting. Plates range from £3-£6 so grazing away is not going to break the bank. But I had the distinct impression that the food is just an offering to soak up what is really on show – the beer. The service is friendly and the clientele unsurprisingly male bias; there is a vibrant atmosphere with a dash of Shoreditch hipster. It was obvious that this is a place where people gather to appreciate their craft. Not wanting to fight it, I ordered another pint. Read this review in The Other Side magazine.